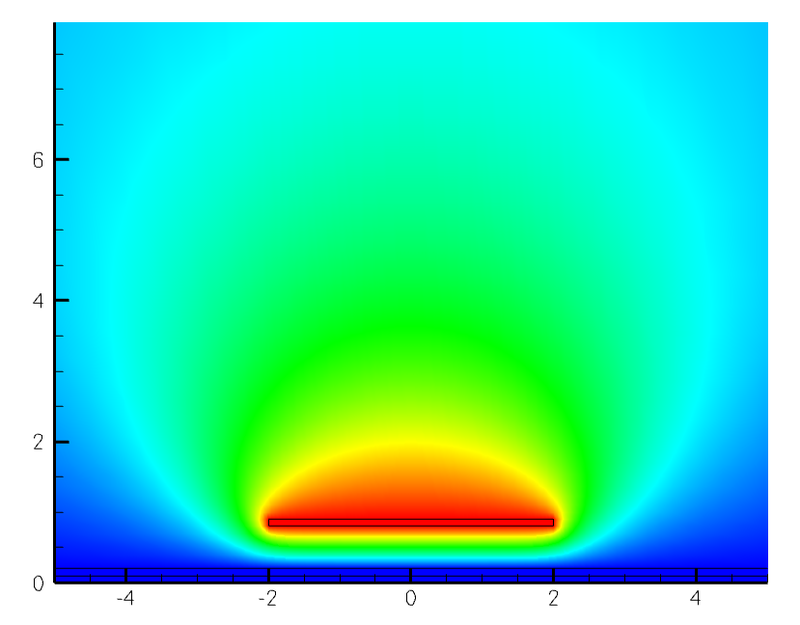 This is a simulation of a single conductor above a ground plane. The simulation window is actually much larger to ensure proper boundary conditions. This entry was posted in DEVSIM, TCAD, updates on June 21, 2009 by Juan.